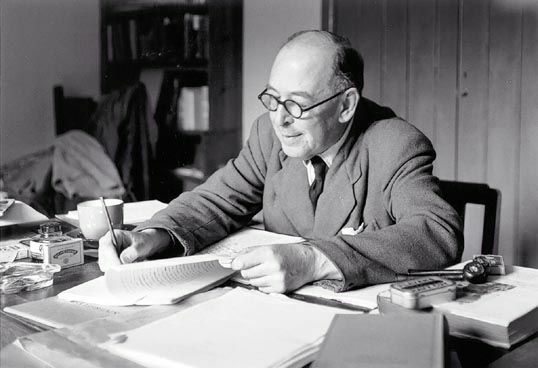 This podcast covers one of my favorite essays by Lewis, titled “On Obstinacy In Belief“. It’s original title was “Faith and Evidence” and actually I like that better, but we’ll use the published title in podcast. It has been included in several collections of essays by Lewis and is well worth your time to read. It covers differences between faith, belief and knowledge and it was written to answer the question why Christians hold on to their beliefs in the face of strong contrary evidence. 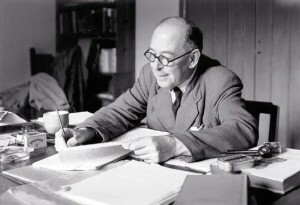 The essay was originally delivered to the Oxford Socratic Club in 1953 under the title Faith and Evidence and then was republished in 1955 under the current title. Since the “target audience” was a group of Oxford professors and students, Jack included several allusions and quotations in languages other than English (such as French, Italian, and Latin). Fortunately we do not have to know these languages to get the main points of this essay. In addition, a gentleman in the Netherlands has compiled a helpful explanation of these allusions and you can obtain that via the link below. The show notes for this podcast are found here. 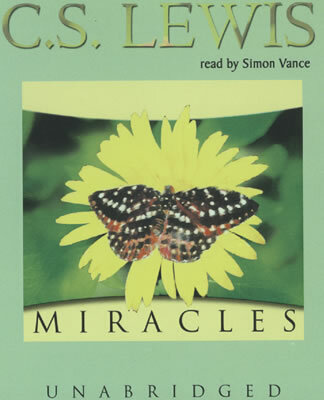 This podcast covers one of C S Lewis’ most import books, “Miracles“. Today many people who have been brought up in our rational culture have trouble believing in anything miraculous, for the claims that Christ walked on water or was born of a virgin or raised the dead seem to go against everything that science teaches us. If you are one of these people, then you may find Jack’s book quite helpful. His book is sub-titled “A Preliminary Study” and is intended to help the reader objectively evaluate whether or not miracles, especially those recorded in the Bible, did or did not occur. It covers some of the same issues and makes some of the same arguments as found in “Mere Christianity” but this book is a more academic and philosophical work both in tone and approach. Lewis points out that we must settle some basic philosophical questions about miracles in general before we review the evidence for any particular miracle. If we don’t we will always conclude that the miracle did not happen, for that will be our belief going into the review. Therefore, most of the book answers the three most common objections to miracles. Having addressed these questions in detail, Lewis then looks at some of the miracles recorded in the New Testament as to what we can learn from them about our world and about God’s nature. This podcast is intended as an introduction to the book, not as a thorough study and I hope it leads you to read “Miracles” for yourself. This book has been an important element in my faith journey and perhaps it will also assist you. 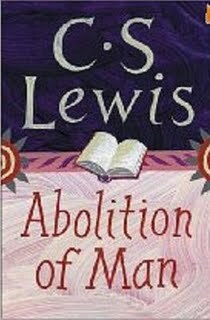 This is the first of 3 podcasts about The Abolition of Man by C. S. Lewis. Although it’s more than 60 years old, this book is surprisingly relevant to some of the major problems we see in our culture today. It tells us why we see so many people in all walks of life who seem to lack a sense of right and wrong, that is, they lack a “moral compass”. Lewis points out that this began when we abandoned the classic concept of an external, universal moral code and incorporated relativistic assumptions in our educational practices. Jack maintains that this produces “men without chests”, people who have a head (the ability to reason) and a belly (the ability to feel), but nothing that connects them (the chest). They have no way of determining when to act contrary to their feelings. This is one of the shortest and most philosophical of Jack’s books. It won’t read quickly like a novel but is well worth putting in the time to consider what he says. Here is a link to the performance schedule for the play “The Screwtape Letters” mentioned in the introduction to the podcast on 11-11-2009. (Link courtesy of Tim Parrish). 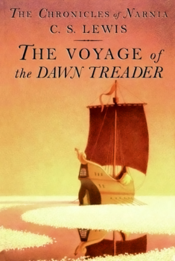 Today’s post is about the Voyage of the Dawn Treader, the third book that C S Lewis wrote in the Chronicles of Narnia. We start with some news about the Prince Caspian film and the progress Disney is making on filming The Voyage of the Dawn Treader. Then we look at the importance Jack (Lewis’ nickname was Jack) places upon dreams and imagination vs. reasons and facts. The story features two of our old friends, Lucy and Edmund, who are in Narnia for their last time, as well as Caspian and Reepicheep from the Prince Caspian tale. The Voyage introduces new character Eustace who is important in the Dawn Treader’s story as well as another one of the Chronicles of Narnia, and we spend some time looking at some of the ways Lewis highlights the use of imagination in this story.